What should a vape pens have? A vape pens should have the ability to replace the battery so that you can replace a damaged one or have a spare one. A vape pens should have a replaceable tank so that we can have a wide range of tanks to use. A vape pens should be able to use tank heads having different coil resistance. A vape pens should be light and compact making it easy to carry alone anywhere. A vape pens should able to create vaper clouds using dual coil heads. A vape pens should have a battery charge to last for a day. A vape pens could have the ability to increase decrease wattage. A vape pens should have a top airflow system to prevent leaking. A vape pens should have a ceramic coil as it will last 3 times longer than any ordinary coils. Well if all the above points were available in one single vape pen then it would be a dream device. A device which could be used as a mid-range vaper pen. Let’s discuss the last 3 points, ceramic coils are available online in some few tank heads. Ceramic coils are somewhat new in the market and will take the time to be replaced in all tank heads. Ceramic coils have improved the maintenance period and vaper taste. The coil is embraced inside the ceramic ring and the two ends of the coil are exposed for a power connection. the outside of the ceramic coil is wrapped with organic cotton when place in the head. When the e liquid enters the tank head it will soak the cotton, on applying current to the ceramic coil the e liquid soaked in the cotton will heat up and create vaper. 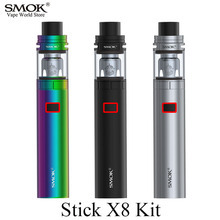 In this kind of setup, the bare coil is not exposed to the cotton thus not creating any oxidization of the coil with the e liquid which otherwise would spread to the cotton and e liquid which alters the vaper taste. Now for the other two points which are interlinked ‘battery charge for a day’ and ‘the ability to increase decrease wattage’. First, no vape pen will last that long unless you pulp around less than 50 on a charge even here I am not sure. Each battery is made differently, the coils and your vapor habits alter the battery life. 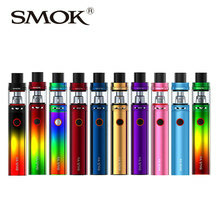 If the vaper pen has a variable wattage feature, the battery life will reduce if you increase the watts and the battery life will increase if you decrease the watts. but in the end, it all depends on the coil used. A high resistance coil will require less battery current and a low resistance coil will require more battery current. A low resistance coil will create more vaper and less vaper taste, a high resistance coil will create less vaper and more vaper taste. The choice is yours, If you have knowledge about coil resistance and battery voltage, wattage and amps, you might just get both worlds that is battery life per charge and vaper clouds. Please don’t modify the vape pens without experience supervision as changing different resistance coils can cause damage to battery and yourself. If you have to try different coil resistance it better to use tank heads which come in few different coil resistance for that tank. A vape pens are used for less duration of time if you want it to last long buy a spare battery, while you are using one put the other one for charging. If you have any comments or questions please post them below. Thank you for reading my post, I hope that you understood What should a vape pens have. See you soon. The links below lead to websites of a particular product I recommend but it’s not required to buy. You can search on the site the produce of your choose and budget. Also please note about shipping cost. Some are free shipping, some are not. What is a vapor pen? Whats in a box mods?